VietNamNet Bridge – Samsung’s smartphone empire was built thanks to the abundant and cheap labor resources in China. However, when costs here are skyrocketing, Samsung is gradually shifting its production bases to Vietnam to preserve profits. Samsung has overtaken Apple to become the largest mobile phone company in the world, providing users with the leading smart phones priced over $900 to basic phones priced under $150. However, the demand for high-end smart phones is declining and Chinese rivals are increasingly lowering prices to compete. Therefore, Samsung has joined the wave of technology companies such as Nokia and Intel, to come to Vietnam to take advantage of the cheap manpower, which is equivalent to only one-third of China. In March 2013, Samsung Electronics Thai Nguyen (SEVT) spent $2 billion to build a high-tech complex in Thai Nguyen Province, northern Vietnam. In October, Samsung Electro-Mechanics Vietnam also stated to pour $1.2 billion into the IC and electronic component factory for mobile phones here. Setting the first steps in China in 1992, Samsung now has 13 plants and seven research laboratories here, as reported by the company in June. 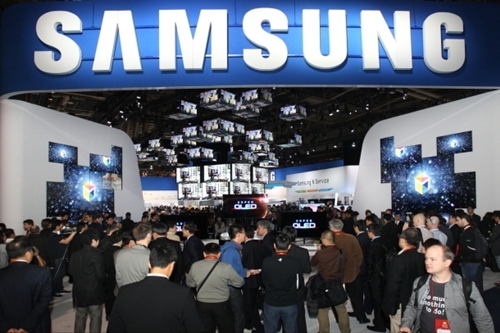 More than 45,000 workers in China account for 19 percent of the total employees of Samsung worldwide. This is the largest ratio of foreign labor of this group, Bloomberg said. However, China’s high economic growth has made salaries here increase significantly. According to the 2012 survey of the Japan Trade Promotion Organization (JETRO), the average monthly salary of a factory worker in Beijing was $466, compared to $145 in Hanoi. Intel, the world biggest computer chip maker inaugurated its $1 billion chip assembly and testing plant in HCM City in 2010. Nokia said its factory near Hanoi was operational at full capacity in the third quarter 2013. LG Electronics is also building a 400,000 m2 factory in Vietnam. "Vietnam has stable political conditions and the qualified workforce. Like South Korea, Vietnamese are very conscious of rebuilding the post-war economy," LG said in a statement. "The trend of companies moving from China to Vietnam will accelerate in the next 2-3 years, mainly because of the labor costs in China. Vietnam is making effort to strengthen the industries," said Mr. Lee Jung Soon – from the RoK Trade Promotion Agency in HCM City. Samsung's new factory in Vietnam is expected to manufacture 120 million devices a year by 2015, doubling the current capacity in Vietnam. With a third of the global smartphone market, Samsung will probably produce up to 80 percent of its products in Vietnam, said Mr. Lee Seung Woo - analyst at the IBK Securities Co. (South Korea). "The handset industry fully relies on good sources of components. In which the most important is human resources," Lee said.